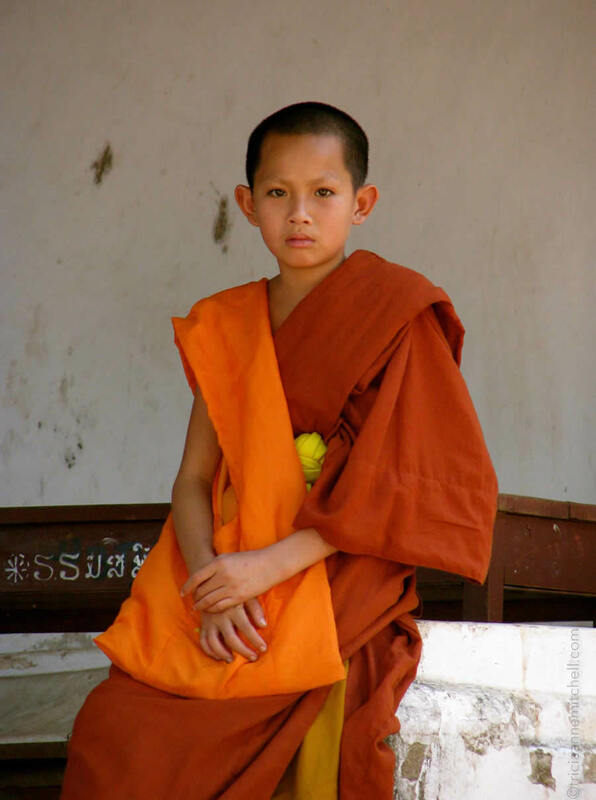 In the Southeast Asian nation of Laos, it’s common for boys and young men to temporarily commit to monkhood, even if they do not remain in service for the rest of their lives. This custom brings a merit to both the novice monks and their families. As the elder monks do, the boys shave their heads (we noticed the monks tended to do so all on a set day) and don the saffron robe. 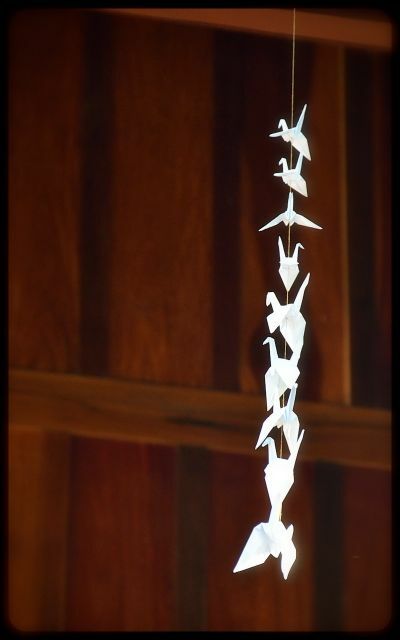 In Buddhism, it’s believed that followers can get good results by giving merit. One approach is by offering alms, either through a Tak Bat ceremony or by donating items to those who are leading a monastic lifestyle. In Luang Prabang’s Wat Xieng Thong temple courtyard, we happened upon this recently-donated stash of goods. There was everything from orange bunk beds and bedding to toiletries, fans and pillows. Novice monks mingled out in the courtyard. Some read books or toyed with their iPods or mobile phones while others interacted with tourists who were eager to show them photographs they had snapped. It’s the sort of environment that could hold my attention for hours. In a heavily-carved and gilded structure that’s tucked away on the grounds of the Wat Xieng Thong temple complex in Luang Prabang, Laos, are stored a fleet of Buddha statues, crackling wooden devotional panels, nagas, and the Lao king’s cremation chariot. Adorned with cobwebs and dressed in dust, they are waiting in the wings for a regal parade.